In Peace and Development Work you study the relationship between poverty, conflicts and sustainable development as well as political room for manoeuvre for change. Peace and Development Work is for students who are looking for a specialisation in issues linked to peace, development and international development co-operation. We focus on current research concerning development as well as the practical work carried out by international institutions, non-governmental organisations and social movements. As a Master student, and in writing your final thesis, you have the possibility to work together with an organization or to conduct a field study in a developing country. The interdisciplinary approach of the progamme - where we also discuss how development issues can be solved in real politics - allows us to keep a close connection with people who are employed within our field and to learn from them. Moreover, most of our teachers have long experience from working with peace and development in developing countries. In the program we also discuss communication issues and how they can influence international development. 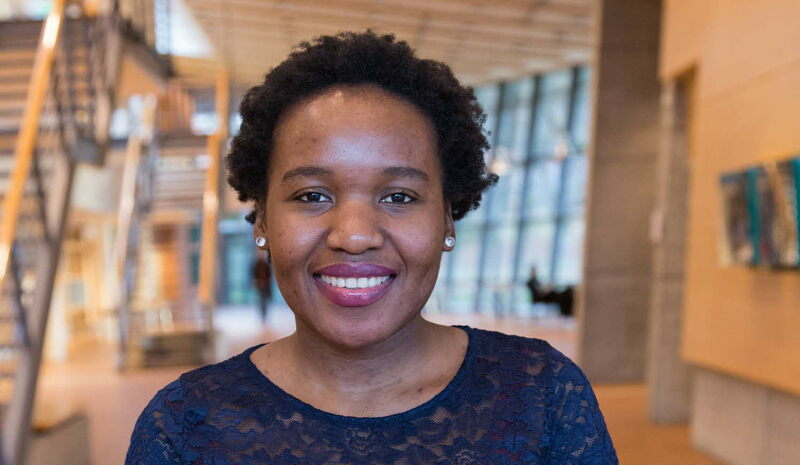 "Development is a dynamic field that requires cross-cutting solutions and innovations"
Aluwani Mauda from South Africa is a student at the Peace and Development Work master programme. Can you tell me about your degree programme? How do you like it? "Peace and development work is an interdisciplinary programme that covers both theory and the practical skills necessary for a career in peace and development. It draws from disciplines such as political science, economics, peace and conflict studies, law, and development studies. Our class is quite diverse, with students from 16 different countries spanning five continents and different academic and professional backgrounds. Learning from each other’s skills and experiences has been invaluable to my studies here". "I wanted to get a broader perspective on development, as I believe this is a dynamic field that requires cross-cutting solutions and innovations. I was attracted to the degree for its practicality and relevance, to the university for its diverse student profile, and to Sweden for its international reputation of being a friendly and equal society". What’s your impression about Sweden and the Swedes? "I can honestly say that Swedes are very friendly, helpful, loyal people. Innovation lives in Sweden, and it’s great to be embedded in such a society. I’m also happy to report that I have embraced the cold weather!" "Fika, fika, fika (Swedish coffee break)! I have also gotten to travel a bit around Europe, and spent time with my Swedish friend family". "I am in the process of setting up a development research and evaluation consulting company, which I hope to launch soon". 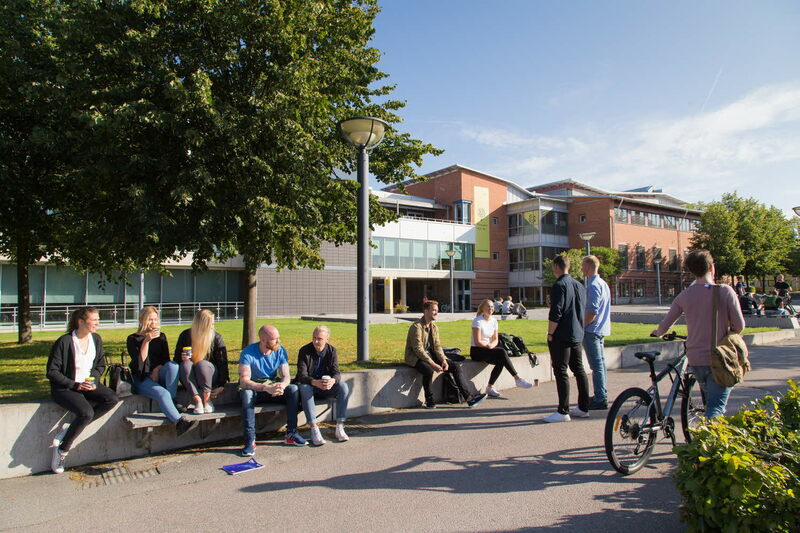 What’s the best thing with being a student at this programme and at Linnaeus University? "It’s a very practical degree with lecturers who have a wealth of field experience, so if you come from a specific background, it’s a great way to broaden and enrich your perspective. I have also made some truly amazing friends during my stay here, without whom I am certain my experience would not have been as wonderful". At the end of the second semester, students in the programme are provided a possibility to carry out a supervised field study during four weeks, learning more about processes and conditions that affect development in Eastern Africa. Since 2006, about 80 students have participated in the field study in northern Mozambique to collect data for their Master thesis. The field trip is organized in cooperation with local stakeholders and designed to resemble a kind of study, frequent in international development cooperation work and commonly asked for by development organisations. One teacher accompanies the students and guides them throughout their work. Before departing from Sweden the students identify the themes of their study and, together with stakeholders in the developing country, draft a research proposal. Through this work, students have the opportunity to apply their studies in a local context. The focus of the studies allows students to follow the particularities of local development problems. At the same time, students gain practical experience from field work in close connection with local stakeholders, although the final analysis is also placed in a multi-level perspective. The results of the field research is presented in the students' final theses and discussed in a seminar. Initial results are also presented to and discussed with local partners in the developing country before returning back to Växjö. Individual travel and accommodation expenses are carried by the participating student. A minimum of six interested students is necessary in order to organize the field trip. The objective of the programme is to create possibilities for future employment within e.g., civil society and international organisations that deal with Peace and development issues. During your study you have the possibility to work together with an organisation or to conduct a field study in a developing country. Students develop both analytical capabilities and practical skills which are necessary for work in the complex reality of international development.